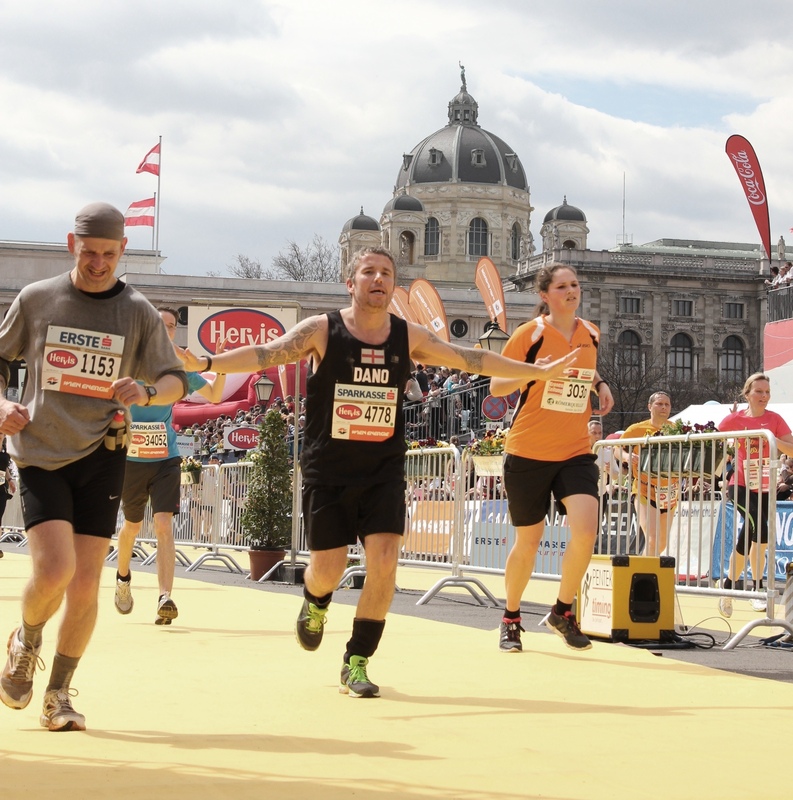 If you are looking for a cultural city in Europe which delivers a good, all round non-major marathon then you can’t go wrong with the Vienna City Marathon (VCM). 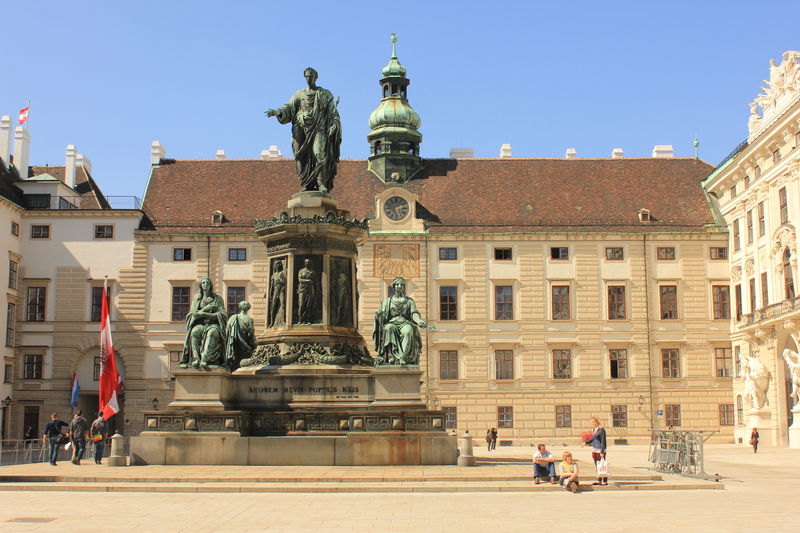 On arrival, you will immediately notice the classical culture and history this fine city brings, from the architecture, to the Danube River, to the trams, there is something special about Vienna. VCM was the second marathon in a 4 week back to back personal challenge, the first being Barcelona Marathon earlier in the month, and was my fourth marathon to date. With Barcelona still fresh in my mind and body as much as I could see VCM was going to be a good, scenic course, deep down I knew it was going to be a challenge to get through it. Two marathons inside a month seemed like a good idea all those months ago however, in real life, it is a challenge of mind, body and soul which I don’t think I will attempt again. 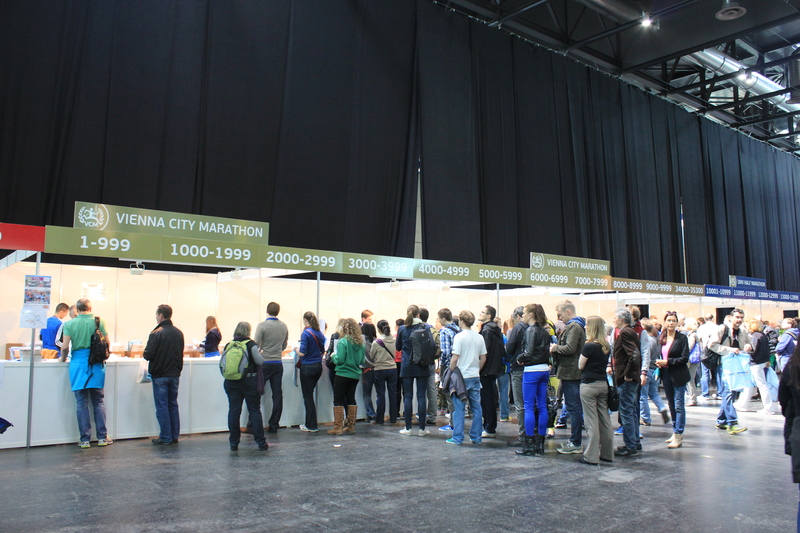 The expo, held Friday and Saturday at the Messe Wien Exhibition Centre, close to the city centre, wasn’t the biggest of expos however, there was a good selection of stands promoting various marathons, nutrition advice and clothing. I found only a couple of stands promoting races outside of Austria, Germany and Switzerland. Bib number collection was very straight forward however, the championship chip was not included with the bib number and had to be picked up at another stand for a 10 euro fee (7 euros of which is refunded after the race). The goody bag included the standard bumph however there was no finisher T-shirt which has to be either pre-ordered or bought at the expo for around 45 euros. You can, however, pick up a VCM Adidas top for less at one of the clothing stands. Race day was well organised with bag drop off trucks positioned just short of the start line. However, I found the starting area for your allotted time slightly confusing as the colour of the starting areas on the race documentation lead me to believe the areas were colour coded when in fact it was the name of the sponsor on the arch to look out for. The race kicked off with no major pizzazz; a few balloons released then it was a slow shuffle to the start line. 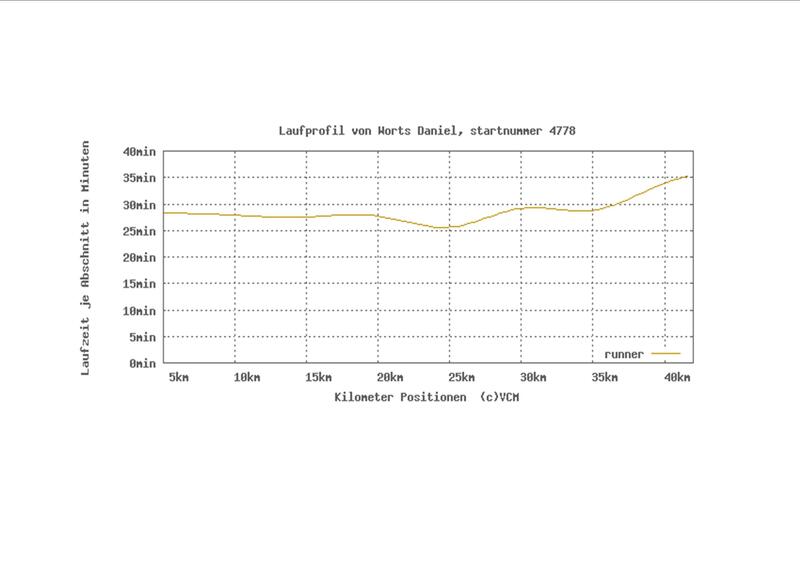 Music fired out from speakers but was patchy. I crossed the start line after about ten minutes; not too bad considering thousands of runners were starting from the same point. The course is fairly flat which is good for a PB, with only a slight gradient at certain points, (usually on the bridges over the Danube River). A downside of the course was a loop over various stages from about 2o km. With this, the course actually feels a lot smaller and the scenery, as pretty as it is, became repetitive taking you down the sides of and over the river several times. If doing the full marathon you will see the half marathon finish line at 21 km where the course splits in two; and the half marathoners heading to the finish, which could be a psychological blow. You have to dig deep but the cheering for the half marathoners quickly becomes a distant noise. With the relay teams also on the same course certain sections of the course are aligned, with many runners waiting to tag their fellow team members which can be quite hectic. Support throughout the course varied from very good to none at all. Music and other sideline entertainment unfortunately was virtually nonexistent for most of the race, except for the odd sections where a band and cheerleaders kept you going. Water stations were every 5 km but seemed unprepared the further you progressed through the race with volunteers rushing to pour drinks as runners grabbed for cups. It was quite a fight for hydration so try to be ready once you see the signs for refreshments. The finish line is quite a spectacle. The approach started along Burgring then took the runners under the ‘triumphal’ 19th Century arch, Burgtor. Through Burgtor and the finishing straight, surrounded by grandstands and lined in the famous carpet (this year in yellow) lead to the finish line. Grandstands with cheering supporters, was a welcoming sound after many miles in quietness. Once over the line the process was quite organised. Volunteers greeted runners with their medals almost immediately, then runners proceed under smaller arches onto Heldenplatz where you can relax, get a free drink and your goody bag. 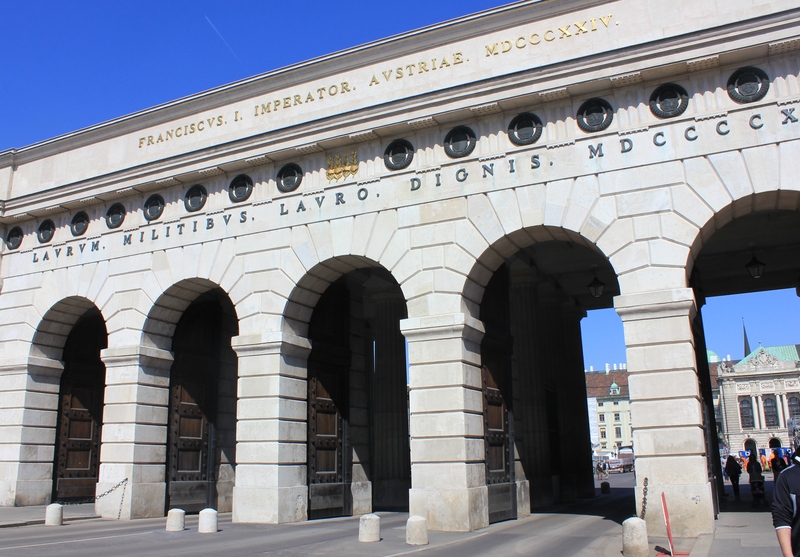 Only runners are in Heldenplatz, which was good to allow you to compose yourself before being out in the open again. 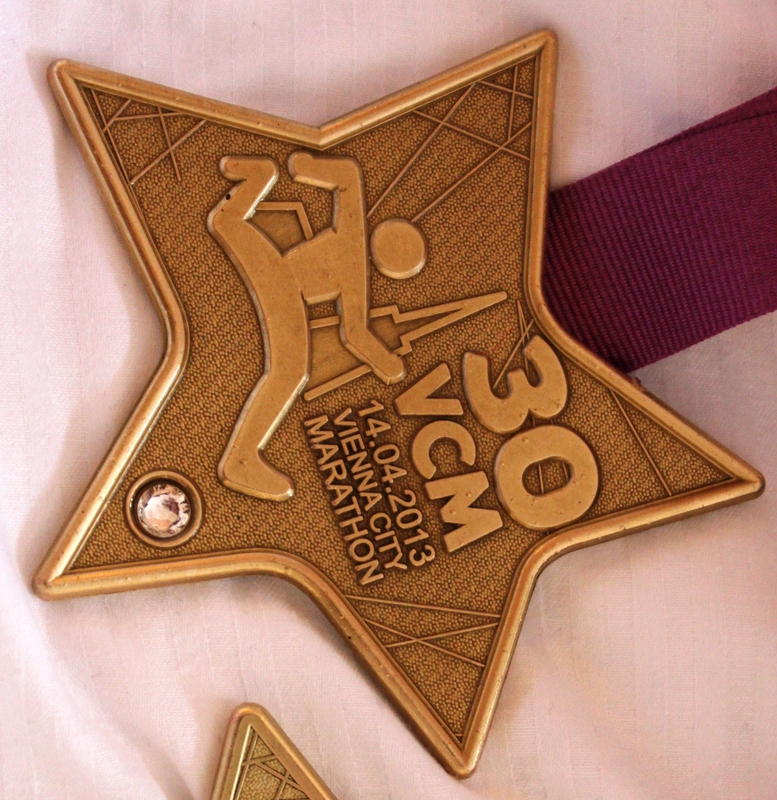 VCM was a good marathon which I really enjoyed bar the temperature of 20+ degrees which denied me achieving a PB. Some other points to be addressed before it becomes a great marathon is the chip charge, course support/entertainment and the starting area. Overall, a marathon and city I would gladly revisit.